a) At least a 200-target main event of three courses with a minimum of 12 stations each to be shot over 3 days (Friday, Saturday, Sunday). Example of target distribution each day is 66/66/68 (3 courses). 300 target main event shot over three courses with a minimum of 13 stations each to be shot over 3 days (Friday, Saturday, Sunday). Examples of target distribution each day are 100/100/100/ (3 courses). 300 target main event shot over four courses with a minimum of 10 stations each to be shot over 4 days (Thursday through Sunday). Examples of target distribution each day are 76/76/74/74 (4 courses). c) Minimum 50 bird Small Gauge event that must be shot on a course. d) 100 bird NSCA Five-Stand event. i) Acceptable hotels and restaurants nearby, camper facilities for at least 20 campers. j) Adequate parking space on or very near venue and shuttle transport if required. 2.The dates of the shoot must be published at least 12 months prior to the shoot. Example: Main Event starts at 8 a.m.; Practice opens at 7:30 a.m.
4.Awards will be Olympic style medals designed and paid for by NSCA for event Champion, Runner-up and Third and for Champion, Runner-up, and Third for Sub-Junior, Junior, Lady, Veteran, Super Veteran and Senior Super Veteran. NSCA will also provide Olympic style awards for Class 1st – 3rd in Master, AA, A, B, C, D and E. Additional medals for this event may be purchased by the host club. 5.All competitors may register in advance for this event with a $100 deposit. 6.The shoot shall use certified and experienced referees, preferably at least 18 years of age and, ideally, experienced shooters not shooting in the Main event. 7.Options for the U.S. Open will be determined by the host club. All payouts and awards will be mailed out within 15 days of shoot completion. All participants will receive a mailer showing all winnings and payout information. 8.Shoot-offs shall be held the same day the event is completed. Shoot-offs for ALL events must be conducted near the clubhouse with traps used exclusively for shoot-offs. The shoot off procedures will be determined by the host club. Adequate lighting is required to hold shoot-offs. 9.The host club is encouraged to host a social function. 10.All U.S. Open events (including small gauge) will be REGISTERED and NSCA daily fees charged. State daily fees will also be collected if required by an approved state association at time shoot is approved. 11.If any additional fees are to be added to the published entry fee, such as state sales taxes, the amounts must be disclosed in the application and all programs, shooter forms and advertisements if fees are quoted in those ads. 12.For the purpose of hosting the U.S. Open, the Mississippi River will serve as the dividing line between East and West. In even numbered years the shoot will be awarded to a club in the western region. In odd number years the shoot will be awarded to a club in the eastern region. This geographical rotation will present an opportunity for our members in different parts of the country to participate in a major event. 13.Ranges desiring to be considered for the U.S. Open will submit an application to the Selection Committee thru NSCA Headquarters a minimum of 45 days before theU.S. Open two years prior to the desired year (called the Application Open). Ranges meeting the selection criteria will be announced at the U.S. Open. They will be invited to make a 10-minute presentation to the Advisory Council at the National Championship. After all presentations, a vote will take place at the Advisory Council meeting at the National Championship and a winner will be announced. 14.Host club must have a Contingency Plan on file with the NSCA. The Contingency Plan will cover course layout, parking, facility management, scoring, how to determine U.S. Open champions, and registration in the case of a natural disaster such as flooding, tornado, etc. 15.Any changes from the U.S. Open shoot criteria or original bid from the host club must be approved by the Advisory Council through the Competition Committee. 16.First time host clubs are required at their own expense to assist the prior year U.S. Open host club in all aspects of the event during the week of the U.S. Open. 1. Apply for the shoot by April 18, 2015. 2. 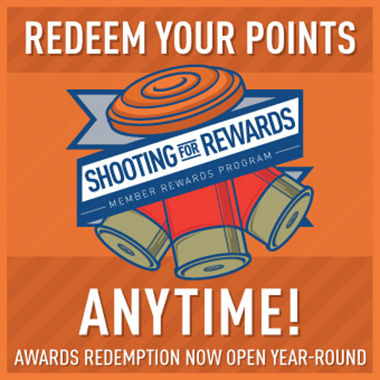 At the 2015 U.S. Open (June 2015) an announcement will be made at the Advisory Council Meeting of all the qualified ranges that have submitted a bid. 3. At the 2014 National Championship Advisory Council Meeting a 10-minute or less presentation to the Advisory Council will be made by the ranges with the plans for the 2016 U.S. Open. 1. Be in good standing with the NSCA at the time of the application and must retain that standing through the year the U.S. Open is held. 2. Have managed a State, Zone, or Major Shoot (200+ NSCA registered shooters in the Main Event) in at least one of the three years preceding the invitation. 18. All applying clubs that have never held a US Open shall host an NSCA pre-bid committee prior to submitting their bid. The U.S. Open bid deadline is April 18, 2015. The pre-bid committee shall consist of a representative from the NSCA and representatives from two former U.S. Open clubs (from the opposite geographical region) or by individuals assigned by the Executive Council. The pre-bid committee shall meet with the applying club’s ownership and management to view the host club’s current facilities and, if applicable, plans for expansion. The pre-bid committee shall also provide assistance to the applicant club in preparing their final bid and presentation to the Advisory Council. The intent of this requirement is to assist clubs in assessing their readiness and likely success in applying for a US Open. The pre-bid committee shall provide current, knowledgeable, first-hand information to the Advisory Council on the potential host club’s site and facilities. The applying club will pay the actual travel and per diem expenses of the pre-bid committee. 19. If no qualified applicant from the appropriate region submits an adequate application 45 days prior to the U.S. Open Advisory Council meeting, the Advisory Council will invite qualified applications from the other region at the U.S. Open Advisory Council meeting without changing or in any other way affecting the rotation of geographical regions. 20. The NSCA Advisory Council will be involved in decisions as well as assist at registration, scoreboard, shoot-offs and awards presentation. A. Only members of the Advisory Council that are in attendance during the presentation are eligible to cast a vote. B. All Advisory Council members in attendance will receive a ballot and a pre-printed envelope with their name on it. Only ballots in the pre-printed envelope will be counted. If there is a tie the NSCA Director will have another set stamped 2nd Ballot and only those ballots will count in the runoff. C. The ballots will be counted by the Executive Council and they will announce the winner. They will also announce the total votes received by each Range. The Advisory Council member vote will not be disclosed. If you have any questions, please contact Brett Moyes at 210-254-1515 or by email at bmoyes@nssa-nsca.com.